In chapter 158 of Skip Beat, Kyoko’s street test for her new look is a little too effective. 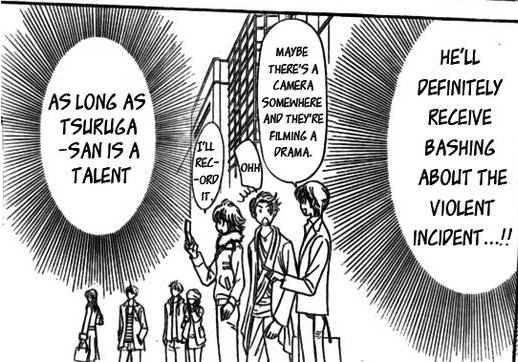 I generally don’t write about manga, but there is something about Skip Beat that appeals to me. Sure it’s shoujo, so there is the comedy and the romance, but it is also a story about someone trying to do her job. Now her job (talent in an actors management company) has unusually glamorous aspects, and insane challenges. A lot of it is plain ridiculous. But in the end, she gives it her all because she is pursuing a career. For some reason, the anime and manga aimed at boys and men that gets translated into English never addresses this aspect of our existence. Oh, sure, if the job is piloting a giant robot to save the world from aliens, or if the male lead is a spy with super powers, we get to see some workplace drama. Actually, after the break, I’ll list the non-shoujo anime, that I know of, that shows a real (non-sports) workplace. I came up with only 5, and some of these don’t really address the workplace in a credible way, and at least one is arguably shoujo. I’m not trying to argue that male-oriented materials like this don’t exist. I know this list would be longer if I had included sports or military titles. And I was careful to state that such materials that do exist aren’t being translated into English. In fact this post was inspired, in part by reading two articles this weekend: one, an interview with workplace drama mangaka Kenshi Hirokane, and the other a review of a J-dorama adaptation of a manga about a public notary named Tokujo Kabachi. Workplace dramas do exist, they just aren’t available in English, aside from those that come in as shojou. So, back to Skip Beat. I don’t expect people to take what I say on faith alone, so I’ll try to explain how the current issue feeds into the characterization I’ve provided (that is, that this is a story about professionalism). If you haven’t been following the manga after the anime ended, yeah, some things have changed. Both Kyoko and Ren have new looks, and they go by different names. This is because they have taken acting to a whole other level. They are acting the roles of an actor and his sister. Not only will Ren be acting in a movie, he and Kyoko have made up roles that they are acting to the people with whom they will be working. These meta-roles are “bad”, as you can probably tell from Kyoko’s new look. As the chapter begins, Kyoko is talking to some real bad guys on the street, and gets Ren Tsuruga involved in a fight. Now this story isn’t exclusively about workplace dynamics. It has plenty of kyaa and the roles Ren and Kyoko have adopted are designed to bring them into uncomfortably intimate circumstances. They are encouraged to indulge in their affections for each other, while never admitting their true feelings for each other. This is shoujo, let’s not kid ourselves. But note the central tension in this chapter. The street thugs fight Ren, but despite the danger they pose to Ren, a bigger concern is lurking. As actors, they’re actions are subject to greater public scrutiny. It’s one thing to look “bad”, but getting involved in fights indicates a certain lack of professionalism that can ruin a career. Ask Lindsay Lohan. One of those things you should have thought about sooner, Kyoko, my dear. Interestingly this very subject comes up in an early episode of Salaryman Kintaro. Kintaro and the boys from his new job head out for drinks after work and some yakuza pick a fight with them. The dedicated salarymen want to give in immediately, except for Kintaro. It’s pretty understandable why businesses would frown upon employees who get into fights. They have a responsibility to maintain a safe workplace, and actors who get into fights might end up physically incapable of performing on the set. In addition large corporation wish to minimize the risk associated with threats of lawsuit and bad publicity. Maeda tries to keep Kintaro from getting into a fight. Still, there are times when people mess with you, and you don’t have the luxury of blowing it off. In Ren’s case, he tries to avoid the attacks, but can’t fight back. Kyoko realizes she put him in this position, and, when the street thugs produce weapons, she gets physically involved. Seeing his dear “sister” knocked to the ground seems to send Ren over the edge, and he gives one of the thugs a concussion. This leaves Kyoko and Ren in an unenviable situation at the cliff-hanger. What do you guys think? Did I miss some serious non-shoujo workplace anime? Think you know why workplace settings are more acceptable to translate into English when it is a shoujo anime? Leave me a comment, and let me know. And there’s also about the life of musical artists: detroit metal city, beck, nodame cantabile (this is josei, not shoujo), etc. Criminal acts like assassinations and theft are considered jobs, illegal though. We have Phantom requiem for the phantom, black lagoon, etc. 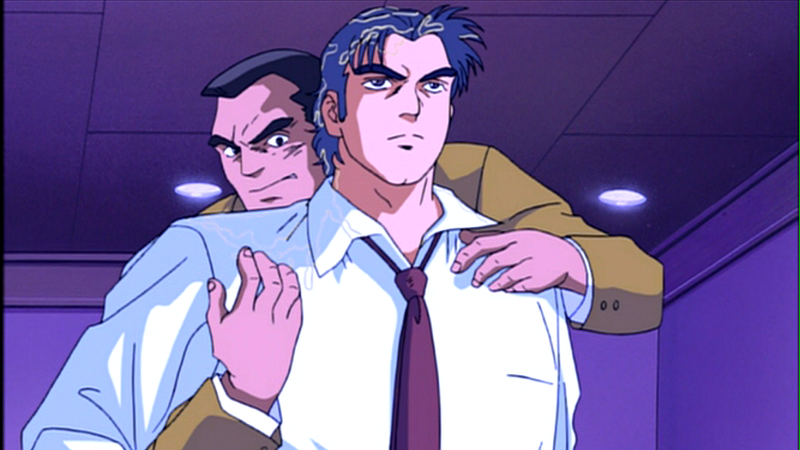 There’s also the bodyguard work like kurenai, etc. And I’ve only mentioned those that are realistic and that have anime adaptations. Also those that I could remember at the moment. There are a lot out there. Shoujo isn’t the exactly the best demographic for this thing. Good point about Music careers, Nodame Cantabile and Beck were both pretty good at showing the activities (and drama) that go into becoming a “pro”. I would definitely include those. I haven’t seen Bakuman, but you did remind me about Animation Runner Kuromi, which I enjoyed a great deal. * drama involving in getting your work done. * drama related to struggling for recognition on the job. * drama around workplace rivalry and company politics. 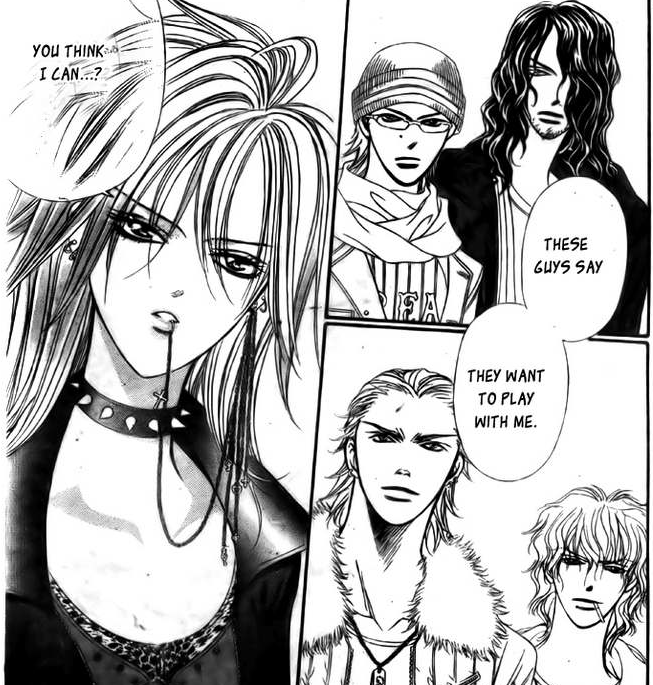 When I look at Skip Beat, it really has all of those three.